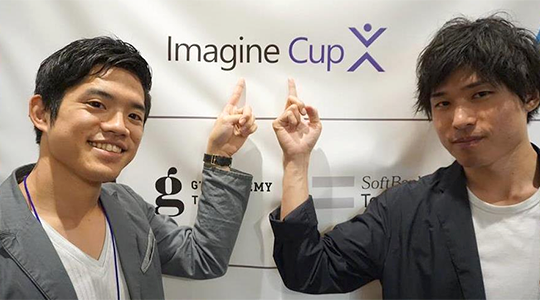 Hyderabad – Microsoft today announced the winners of the 16th annual Imagine Cup, the world’s premier student technology competition where students from around the globe team up to solve some of the world’s biggest problems with technology. Team smartARM from Canada took home the top honors with their functional robotic prosthetic hand that is powered by Microsoft Azure. The hand is equipped with a camera embedded in the palm to help recognize objects and calculate the most appropriate grip for the object. With the help of technologies such as machine learning and computer vision, the arm is able become more functional as it learns and captures more data. Besides US$85,000 cash prize and an Azure grant worth US$50,000, Team smartARM will also have a mentoring session with Microsoft CEO Satya Nadella. Coming in second place was Team iCry2Talk from Greece, whose project enables parents to decipher the message behind a baby’s crying in real-time. The low-cost, non-invasive intelligent technology associates the cries with specific physiological and psychological states, depicting the results in a text, image, and a voice message. The Asia Pacific region had an exceptional showing this year, with Team Mediated Ear from Japan clinching third place in the world finals. Their project was a software for hearing-impaired individuals to focus on a specific speaker among a multitude of conversations through the help of deep learning. This year, 8 teams from the Asia Pacific region made it to the semi-finals, underscoring one of the largest representation from a single region at the competition. Artificial Intelligence: Team Sochware from Nepal, whose solution is designed to help farmers identify plant diseases, suggest mitigation strategies, connect with experts, and get updated with recent agriculture findings to ensure more successful harvests. Big Data: Team DrugSafe from India, which is a multi-layered holistic drug validation system using technologies built upon big data to inform users if specific drugs are safe for use. Mixed Reality: Team Pengram from the United States with their AR/VR platform designed for engineers to be “teleported” into a workspace when required. Each team received US$15,000 in cash prize and US$30,000 Azure grant to help further their endeavors. This year, 49 teams from 33 countries, including 20 teams from the Asia Pacific region, were selected to travel to Microsoft headquarters in Redmond, Washington, to showcase their ingenuity in leveraging the power of modern technology to solve some of the world’s pressing challenges. Prior to this, the student teams spent months developing their solutions, go-to-market plans and competing in National Finals.